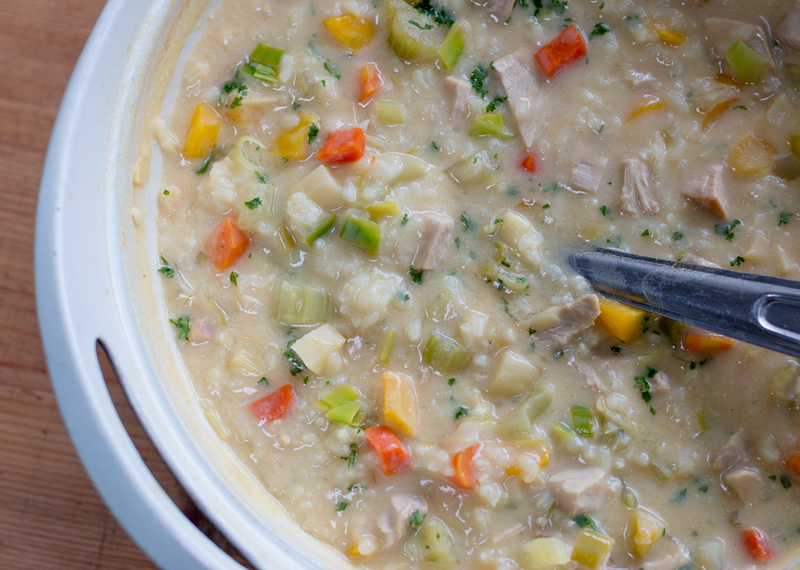 A Hearty, Healthy & Zesty Soup using 2 cups of diced freshly roasted turkey from your Thanksgiving feast. Make again using leftover chicken! Like many of us – who wants to cook the week after Thanksgiving? 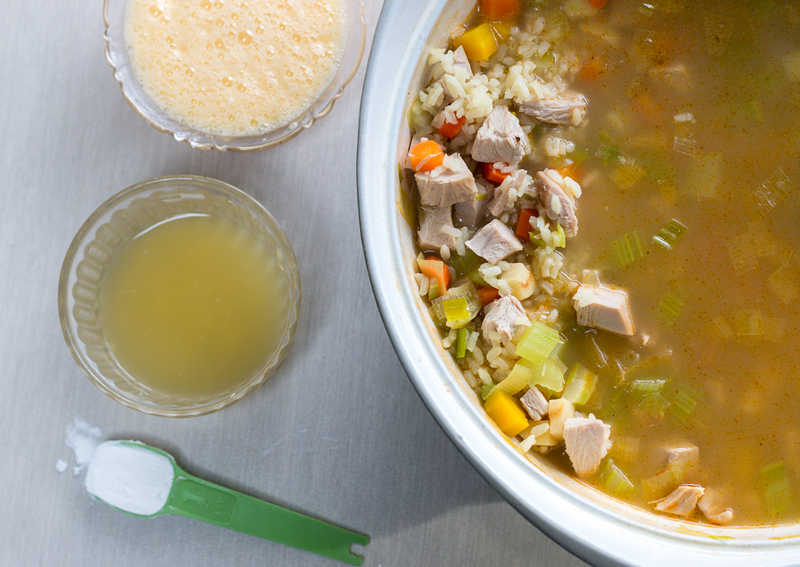 Yet – with all that leftover turkey meat ( I use white meat for this recipe) this is a one pot soup, that eat likes a meal and is delicious! Instead of classic orzo rice, I have use a medium grain white rice… Calrose rice. It has great natural thickening properties, which is what I love. 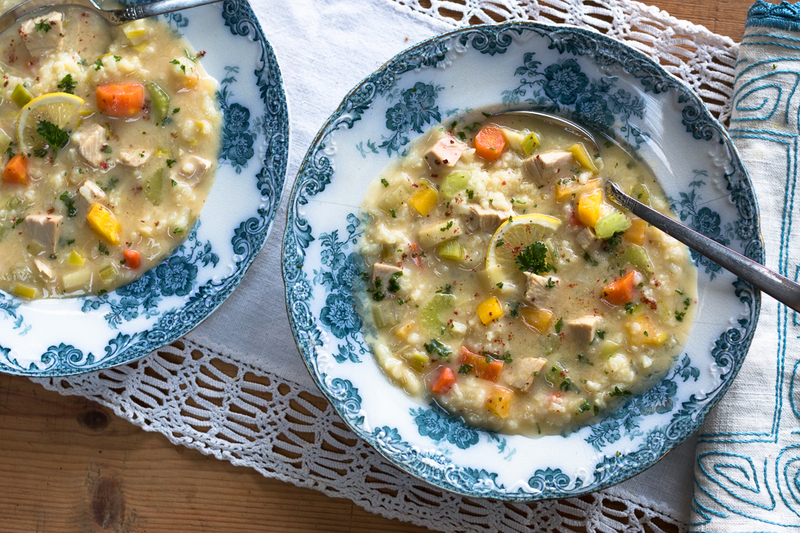 This soup has tons of vegetables – a waistline savor after the holidays. You know me, I’m always looking to add extra veggies to soups. Avgolemono soup is a Greek lemon chicken soup that is thickened with an egg sauce (whipped eggs and lemon juice.) With rice and vegetables, it’s a meal in itself! Almost every culture has some version of chicken soup, noodles or not. 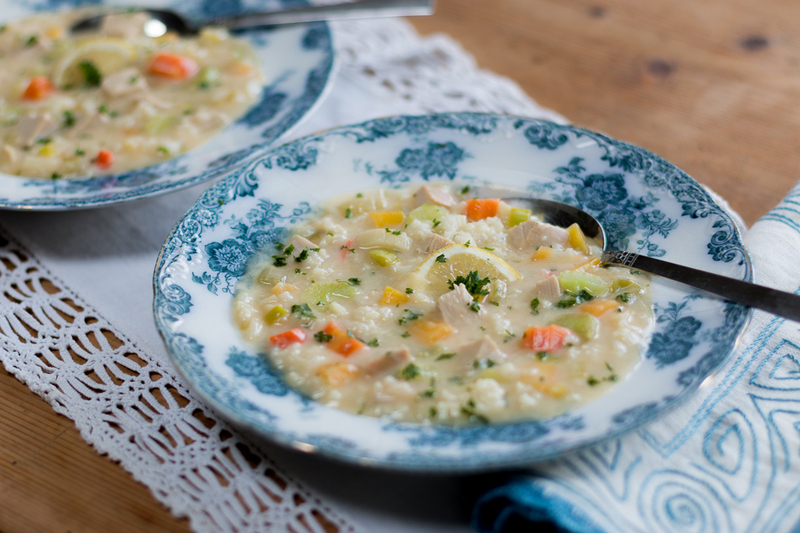 My Avgolemono style soup recipe is a redux on the classic Greek version. 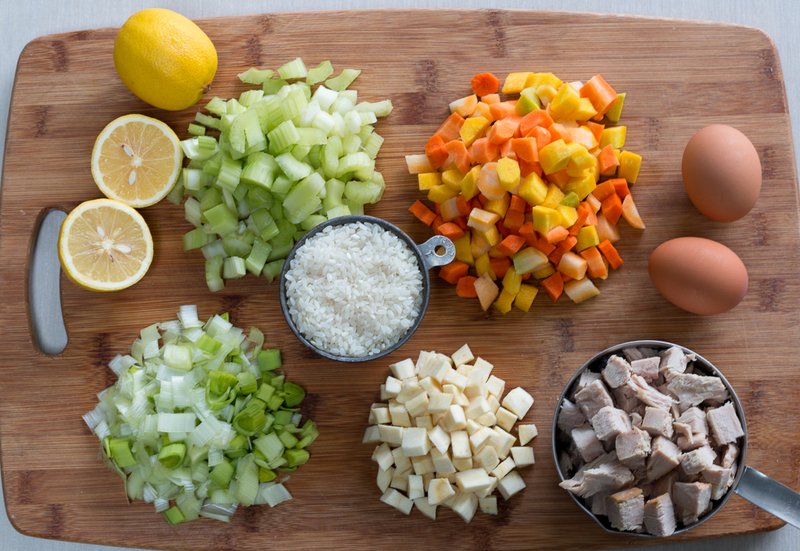 Extra veggies – turkey substitutes for chicken – a little extra thickness in consistency. Ingredients matter! I have purchased the freshest celery, heirloom colorful carrots, parsnips, leeks and garlic. Homemade stock is preferable, duh. The canned stuff is full of flavorings and preservatives, and does not have the right body or flavor. Use the chicken from the broth in this recipe too, or in a bevy of other recipes from chicken salad to chicken tacos. My Trick: This recipe was developed so that the vegetables are bright and tender-crisp. Bring the broth to a boil in your pot, add rice, stir cook for 10 minutes, cooking about half-way. Add the veggies now, top with lid and simmer until the rice has perfectly softened, and the veggies are tender crisp. Add cubed cooked turkey. Next, whip the eggs, add cornstarch to lemon juice and add all to the pot and bring just to a simmer – and remove from heat. Great garnishes are lemon slices, lots of fresh-cut parsley and ground pink peppercorns. Calrose rice is a medium-grain rice developed at the Rice Experiment Station at the University of California at Davis (U.C. Davis) from the japonica variety. It was developed to deliver the best flavor when grown in the northern California climate. The cooked grains are softer, moist, sticky and absorb flavor well. Calrose is an all-purpose table rice as well as a rice for specialty Mediterranean and Asian cuisine such as paella, risotto, pilaf and rice bowls. Japonica rice or Aborio rice can also be used. I hope your holiday was joyous and tasty! Make a batch and eat the entire week after Thanksgiving!